The Great Migration, Tanzania: It’s follow-the-leader time as wildebeests make a dangerous but necessary river crossing. With its expansive landscapes and formidable animal life, the world’s second-biggest continent is arguably the best for photographers. Throw in that sense of being in a place that hasn’t changed for centuries, and sometimes millennia, and you get some of the most inspiring, and inspired, destinations on the planet. A photo won’t capture the thunder of hooves on dirt as more than a million wildebeest and several hundred thousand zebra make their annual migration, but still, this is one for the top of the pile. The migration is actually a year-round event as the animals move from Tanzania’s Ngorongoro Reserve in January, up through the Serengeti around June and hit Kenya’s Masai Mara around September, before journeying south again. 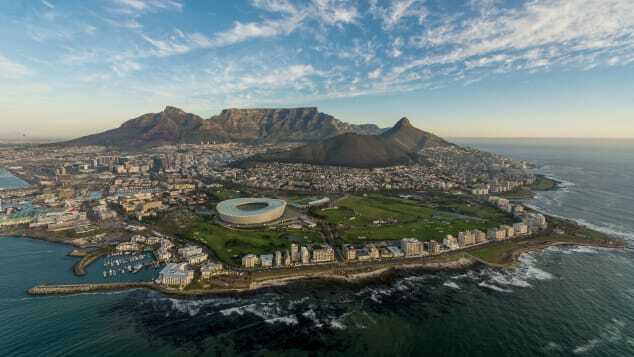 Table Mountain makes Cape Town, one of the world’s best beach cities, also one of the world’s most photogenic. Cable car rides are available to the top of the mesa, giving great views, fantastic sunrises/sunsets and a great photo. Challenge: Try to limit yourself to 50 pics. The world’s most exciting town square, Djemaa el Fna reminds you you’re in Africa. In the heart of the old city of Marrakech, snake-charmers, henna-painters, storytellers, date-sellers and orange juice vendors set up their stalls in the sleepy heat of the afternoon. As night falls, the vendors are joined by tribal drummers, ladyboy dancers and mobile restaurateurs selling delicious grilled meats, bread and salad as the smoke rises above their stalls ’til past midnight. Sossusvlei means “the gathering place of water” but you’ll need to bring your own if you don’t want to dehydrate at this, Namibia’s most outstanding attraction. Climbing the dunes yields breathtaking views, including the Deadvlei, a ghostly expanse of dried, white clay punctuated by skeletons of ancient camelthorn trees. A close encounter with the mountain gorillas of the Rwandan rainforest will stay with you for a lifetime. Various operators run tours tracking silverbacks and their troupes in the dense forest. At an elevation of more than 6,000 feet, the Nyungwe National Park is an isolated region, covering more than 386 square miles across southwest Rwanda. Tourists can meet a vast range of primates and also traverse East Africa’s highest canopy. One of the world’s most majestic water spectacles, Victoria Falls (also called Mosi-oa-Tunya, or “The Cloud That Thunders) — were reportedly first seen by a European when Scotsman David Livingstone journeyed here in 1855. Since then thousands have enjoyed the spray from the 108-meter high cascade, which was once recorded flowing at 12,800 cubic meters per second — double that of Niagara’s highest flow. Namibia’s deserts are so fascinating that another attraction deserves mention in this list. The Spitzkoppe is a grouping of granite peaks in Namibia’s Namib Desert, with the highest peak hitting nearly 1,800 meters (about 5,900 feet). This place is heaven for climbers, geologists, stargazers and watchers of weaver birds. The most user-friendly part of the Sahara is accessible from the northern edge of Morocco. You can trek with Berbers from the town of Zagoura, or camp out in Tazzarine, where runners from all over the world complete the weeklong Marathon des Sables every spring. The foot of the Merzouga Dunes is the ultimate location for gazing at stars, totally free of light pollution. And you thought building your garden wall was hard work. 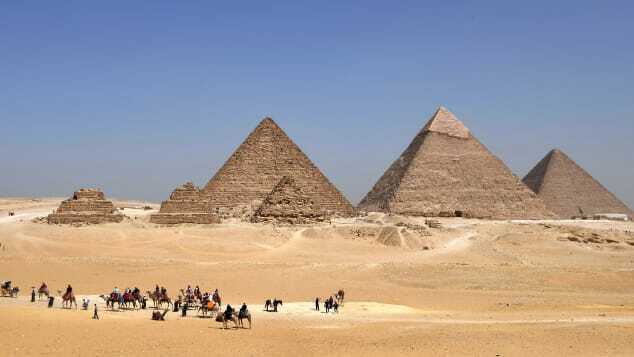 The most famous of the structures at Giza, near Cairo, the Pyramid of King Cheops was built around 2650 BC from 2.5 million blocks of limestone. Its sides are oriented exactly to the north, south, east and west. The Chephren pyramid, built by Cheops’ son, is similar in size and incorporates the entrances to a burial chamber that still contains the large granite sarcophagus of King Chephren. The pyramid of Mycerinus is smaller than both and all three are surrounded by other smaller pyramids and dozens of tombs. Nyika, the largest national park in Malawi, is one of the most unusual in Africa, with a plateau cut by numerous rivers that reach Lake Malawi by way of waterfalls off the eastern edge of the mountains. The eastern border of the plateau forms the wall of the Great Rift Valley. The great domes of hills have gentle slopes, making Nyika perfect for both trekking and mountain biking as well as Jeep exploration. Antelope and zebra abound, and the park has one of the highest densities of leopard in Central Africa. 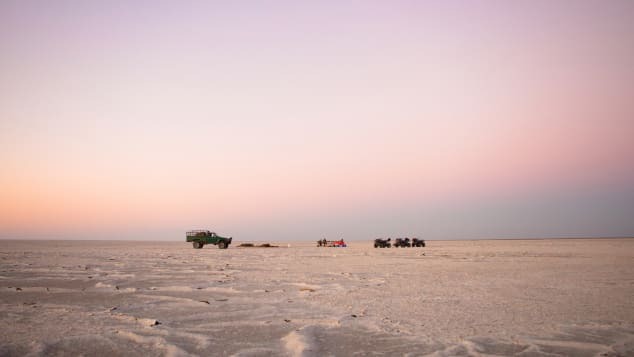 It’s said you can hear your own blood flow in this vast area of dried-up salt pans in the Kalahari Desert, a forbidding landscape formed by a huge lake that dried up millennia ago. But it can transform in an instant during winter, if rains have been good enough to make lush grass sprout, bringing a stampede of wildlife to break the silence, including zebra, wildebeest and flamingos. Between the Atlas Mountains and the dunes of the Sahara lies one of Morocco’s most splendid and rewarding landscapes: the Draa, a mass of date plantations punctuated by kasbahs made of rammed red earth rising against the sky. Zagora, at the southern end, makes a good base with decent hotels and restaurants. Allow five hours to reach the Draa from Marrakech via a spectacular route across the Atlas Mountains — it’s best not to self-drive. This colossal temple is on the way down to Egypt’s Valley Temple of King Chefren. The body of a lion with a human head is 70 meters long and 20 meters high — as tall as a six-story apartment block. Although the Sphinx has been thought of as female, many scholars believe the face is that of King Chefren. At around 3,000 meters (about 9,850 feet), the Mulanje Massif dwarfs the lush land that surrounds it. It’s split in two by the Fort Lister Gap, a broad pass eroded by the Phalombe and Sombani rivers. The mountain is distinguished by giant basins of rock and narrow gullies cut by fast-flowing streams. A strenuous trek leads to magnificent viewpoints. En route, expect to encounter monkeys, hares, voles and a carpet of enchanting wildflowers after the rain. Large numbers of butterflies are another feature. The best way to experience Kenya’s zebras? From the back of a horse. Travelers can gallop alongside the stripey beasts in the Masai Mara, covering up to 100 kilometers (62 miles) in a week. A cruise down the Egyptian Nile, ideally on a romantic felucca rather than a crowded tourist boat, reveals relics of one of the world’s most ancient civilizations. The high point is the Valley of the Kings, with its monumental statues, and the magnificent Kom Ombo Temple, north of Aswan on the east bank. Lake Nakuru National Park is home to 1 million resident flamingos, providing one of Kenya’s most unforgettable sights. This lake has become famous for the greatest bird spectacle in the world, with swathes of vibrant pink filling the alkaline lake and the huge sky. 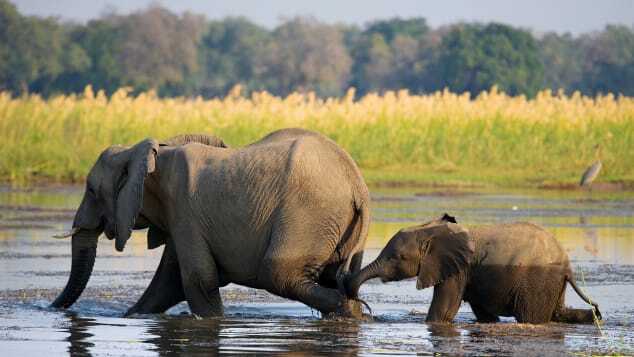 Canoeing safaris in the Lower Zambezi offer sightings of hippos, elephants and other animals drinking from the rivers and tributaries around camp. People who love to fish can also be accommodated at various of the camps and lodges on the banks of the river. The 10-minute helicopter ride across the Bazaruto Archipelago to the Azura Retreats lodge on Benguerra Island is worth it in its own right. The destination is the icing on the cake. This award-winning boutique hotel set on a remote desert island is set within a Marine National Park, giving the chance to see whales, dolphins and dugong. The Baines baobabs that sit close to the entrance of Botswana’s Nxai Pan National Park take their name from a series of watercolors by Victorian explorer and artist Thomas Baines. Their fruit apparently tastes a little like sherbet. The Nxai Pan park is great for viewing the vast, salt-rich pans that characterize the Kalahari and is also known for lion, leopard and cheetah and unusually large herds of giraffe. Namibia is the travel gift that keeps on giving. Some 500 meters (1,640 feet) deep and more than 160 kilometres (100 miles) long, this great rift is second only to the United States’ Grand Canyon in size, and during the dry season is characterized by beautiful turquoise pools of seasonally flowing water stretching into the distance. Located in the valley between the dramatic slopes of Mount Kenya and the rolling peaks of the Aberdare Mountains, Solio Reserve is home to around 250 black and white rhino and considered the best place to see these increasingly rare species. A whopping 2 kilometres (1.2 miles) wide and usually containing a lava lake, Nyiragongo Volcano is one of Africa’s most active volcanoes, with an eruption in 2002 displacing half a million people. 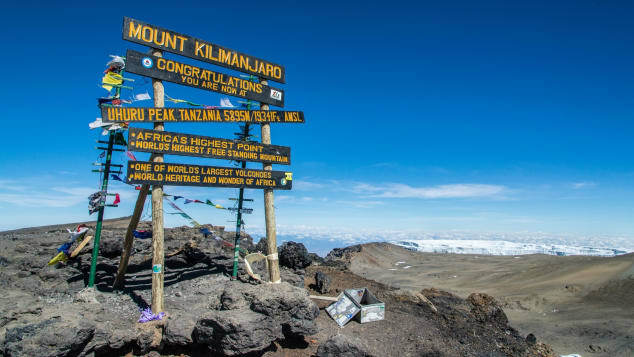 Mount Kilimanjaro, at 5,895 meters (19,341 feet), is Africa’s highest peak — and an item on thousands of bucket lists. It is a “Sky island,” creating a varied and dramatic natural habitat. Rising through lush rainforests and alpine meadows, climbers finally cross a barren lunar landscape to reach the twin summit, often above the clouds. Lake Malawi, one of the largest lakes in the world, was dubbed “Lake of Stars” by Dr. David Livingstone, who trekked here a century and a half ago. The lake has more tropical fish than any lake in the world — 1,300 species — and the freshwater diving is great. The biodiversity has been recognized by UNESCO, which has made Lake Malawi National Park, the world’s first freshwater park, a World Heritage Site.